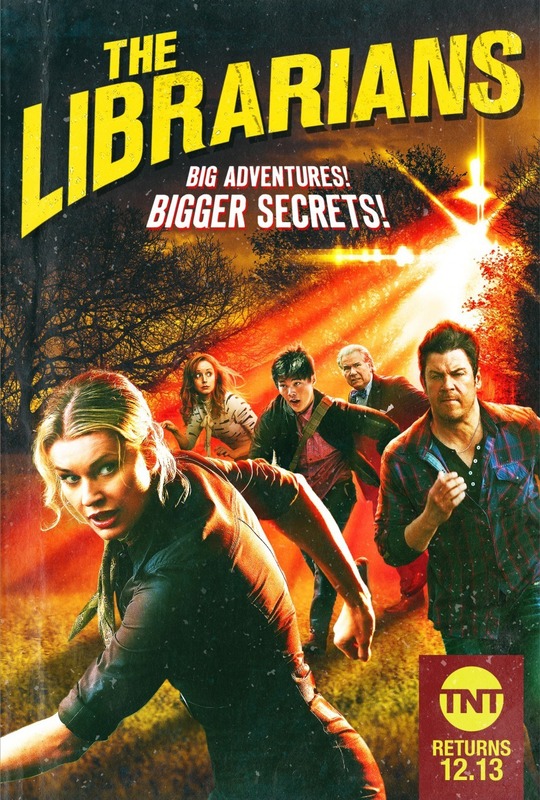 A group of librarians sets off on adventures in an effort to save mysterious, ancient artifacts. The Library has chosen a new group to help safeguard magical cursed artifacts throughout time and around the world. An art historian, a thief , a mathematician and a warrior are sent through the doorway to help bring back the others, who are protected by the Library from the evil recently released. Take this show for what it IS: Fresh, quirky, comedy drama full of adventure AND history. Like a family version of the DaVinci code and Much like the older movie of the same name. The humor is a step above the average raunch on Prime time and you will find yourself learning some rather intriguing and often obscure facts about history that will actually entertain you at the same time. Sure, there are some annoying things on the show. Personally, I really want to redress one of the characters every time she appears in one of her wacky "what toddler dressed HER?" ideas of an outfit. It is supposed to go with her weird personality but I find myself too caught up in the kookiness of her wardrobe. But, the acting is great, some old favorites like Noah Wylie to some new faces that are quite good. I didn't LOVE the first episode, but got caught up in it by the third, so if it doesn't grab you right away, give it a second look, you may find it grows on you...quickly! I can't believe this tosh ran for four seasons. Utter rubbish. Don't waste your time. The show premieres in TNT on December 7, 2014. It will not be available to view prior to its release.